The world's largest touchscreen Exhibition "Tenth China (Shanghai) International touchscreen Exhibition", held in June 4th, at the Shanghai New International Expo Center industry gathered, also attracted many overseas customers. HW technology by technology advantage, in touch, with electromagnetic pen touch, pressure, optical touch and active capacitance pen four technology in Canada following the SID exhibition, the booth debut, immediately attracted various exhibitors, audience and the media attention. Hanvon technology with four technology first appeared in domestic touch exhibition, display the top technology. Walked into the conference hall, HW theme "bloom" booth, with delicate design, reasonable layout and furnishings display touch control assembly, focusing the visitors. The touch control pen experience booth, is gathered a lot of popularity, in a continuous line. It is understood, the Hanvon comprehensive display of the four major technology hardware products include electromagnetic touch, pressure, active capacitance touch pen, optical touch, and touch control module, face recognition, OCR software. Among them, the display of "electromagnetic pen touch technology" because Samsung Note series and the Microsoft Surface Pro application is well known, particularly attract sb. 's attention. Advantage of the manufacturing factory with the Hanvon technology, can provide high-volume cost-effective customization service to customers. Relying on a strong electromagnetic pen touch technology R & D strength and rich solution, Hanvon has become the world's top professional electromagnetic technology provider. Hanvon "active capacitance pen" the world's first, to provide users with multiple solutions In order to further improve the touch technology type, this exhibition, Hanvon released the world's first "active capacitance pen", this technique does not require the existence of a large number of capacitive screen component of any change can be realized with high accuracy and precision of the handwriting pen, exquisite feeling experience. The technology not only integrates 512 high precision pressure, also has a key, rubber and other optional features, and can easily distinguish the nib and fingers during the process of painting. "Release active capacitance pen" is hw can provide more abundant technical solutions to the user's choice. 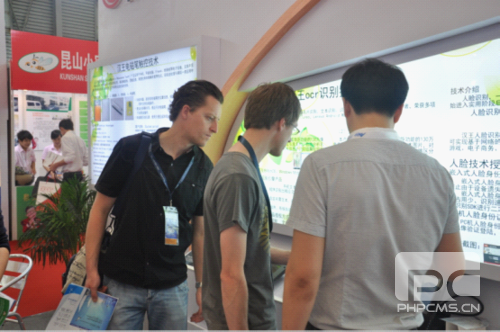 The Shanghai touchscreen exhibition opened in June 4th, for a period of three days, just ended. The new Stylus technology Hanvon technology will bring a number of industries led to a paperless revolution. With the Hanvon touch technology products of the series and the scale of production, electromagnetic and touch such products will be more applied to a variety of terminal equipment, such as bank electronic signature board, the supermarket POS machine, electronic whiteboard, education, government approval of industrial control field, the application prospect is very wide.